Jeremy Wade has to survive alongside some of the world's best fishermen, using spears, bows and arrows and even spiders webs to catch his prey. 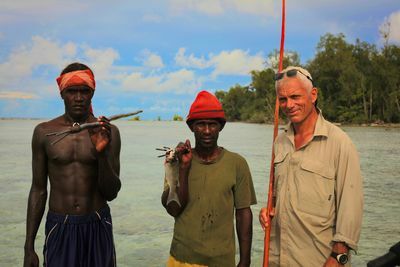 The tribe live on a tropical island paradise in the south pacific, and claim to have a special relationship with sharks. None ever been killed by a shark, although they swim and fish in some of the most shark infested waters on the planet. As Jeremy throws himself into tribal life, learning to fish and live as they do, he faces a tough challenge to be accepted, and comes closer than ever to one of the world's ultimate predators.